Daniel Cormier was slated for UFC Heavyweight title defense versus Brock Lesnar at the beginning of 2019. Yet, Brock Lesnar UFC 226 “sh*t show” made many fighters angry. Stipe Miocic even trash-talked the whole organization. 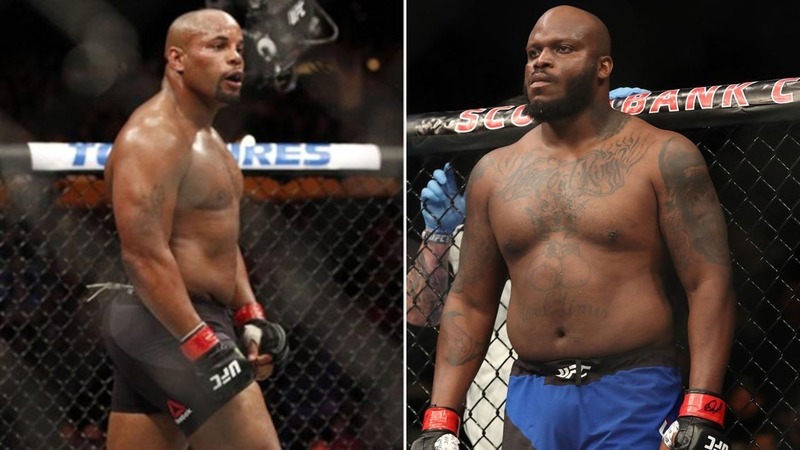 Cormier’s title shot versus Derrick Lewis at UFC 230 inside Madison Square Garden, New York, came out as a big surprise too. But compared to Brock Lesnar, Derrick Lewis at least fights on a regular basis. And UFC 230 got the main event of the evening! “I didn’t think I was going to fight on this card, but the deal I got was so good,” Cormier said. “There was no way I could say no, honestly. Especially with a guy like Derrick, who is not known for the best cardio. I’ve got to start fast and hope I can push harder than him, even with a short camp,” said Cormier in a recent interview with ESPN. Daniel Cormier has two fights under his UFC contract left. He plans to retire when he turns 40 years old. It will happen in March 2019. UFC also announced Daniel Cormier will be stripped of UFC Light Heavyweight title at UFC 232 on December 29, 2018. It will allow Jon Jones and Alexander Gustafsson to fight for the title. It is still unknown whether Daniel Cormier plans to face Bones-Mauler winner or Brock Lesnar in the last match of his career. DC says Lesnar fight brings more money. But he would like to defeat Jon Jones badly. Bones is the only fighter who defeated him twice. “Counting the Lewis fight, I think I’m down to two fights left,” Cormier said. “Maybe this will be a blessing in disguise, the fact that I don’t have a crazy, long fight camp to beat myself down. That may prolong it for me, but right now, I think I have this one and maybe one more. I can still fight in March and hit my retirement date,” he added. “The one opponent that would matter to me most is Jones, because he’s beaten me twice. The one that would mean more financially would be Lesnar. I think I would always pick the one that means more, but my wife might have something to say about that,” he joked. Stipe Miocic isn’t happy about Cormier’s match against Derrick Lewis. Stipe was already challenging DC. Yet, Daniel Cormier says there is no chance he would accept a short-notice fight versus such a dangerous fighter like Stipe. It looks like Stipe’s fighting style is a nightmare for DC. “I would not have accepted a rematch against Stipe Miocic on short notice, he’s too good under these circumstances,” Cormier said. What are your thoughts on Cormier Vs Lewis? Do you hope for a good showdown? Let’s hope Derrick Lewis will not repeat his terrible UFC 226 performance ever again! Also, The Black Beast is not a cardio machine. If Daniel Cormier takes him down, the fight might end quickly! Don’t forget Derrick Lewis released an epic UFC 230 promo trolling video too! Will this make DC angry?